Shaloh House Jewish Day School expands children’s intellectual curiosity and capabilities. 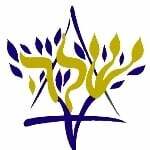 It provides them with an engaging, challenging, and well-rounded academic program, replete with love for Jewish tradition, history, language, and values. Each child is encouraged to live his or her life in a compassionate, Jewish way and given the building blocks to be a future leader of our community.